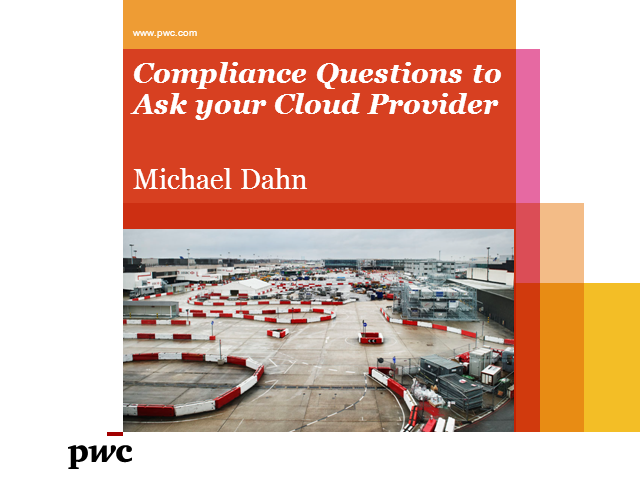 Though you may classify your cloud vendor as a service provider, they are much more than that and the implications of their level of service may be far reaching into your organization. There are many nuances in comparing cloud provider offerings that are not often discussed or even supported. If you want to compare apples-to-apples, this presentation will equip you with the necessary questions to raise internally and with your third-party cloud service provider.